What do you do when you arrive in Denver Friday Morning, have a wedding in Vail Saturday afternoon, and fly out Sunday evening? You try to jam pack as much exploring as you possibly can into one weekend! Flew into Denver Airport and arrived around 11 am. Hopped on a bus to our rental car and hit the road to Vail. We made one pit stop for lunch (Jimmy John’s duh!). Chase was actually in the wedding so he had to be at the rehearsal at 3:00 pm. We got to Vail around 1:00 pm, quickly explored Vail Village. Basically just on the hunt for wine (we found it! ), then checked into our AIRBNB at Vail Racquet Club. (highly recommend btw- they gave us a free upgrade to a 2 bedroom suite and it’s only about 7 minutes from Vail Village!) Chase changed quick and flew out the door, meanwhile I took my time getting ready for the Meet & Greet at Four Seasons at 6:00pm. Flash forward to Saturday morning. Chase didn’t have to be at the ceremony until 1:30, so we finally had some time to explore a bit. We drove around Vail and pretty much stopped anywhere that looked worthy of a photo op. The pines were so pretty with all of the snow! Pro-tip: renting a car really is the best way to go. I know I say this about all of our trips, but if you want to make the most of your trip, you will listen ;) Wedding festivities took place the rest of the day/night at the Sonnenalp. Flash forward to Sunday morning! Okay so this is when the real exploring kicks in. 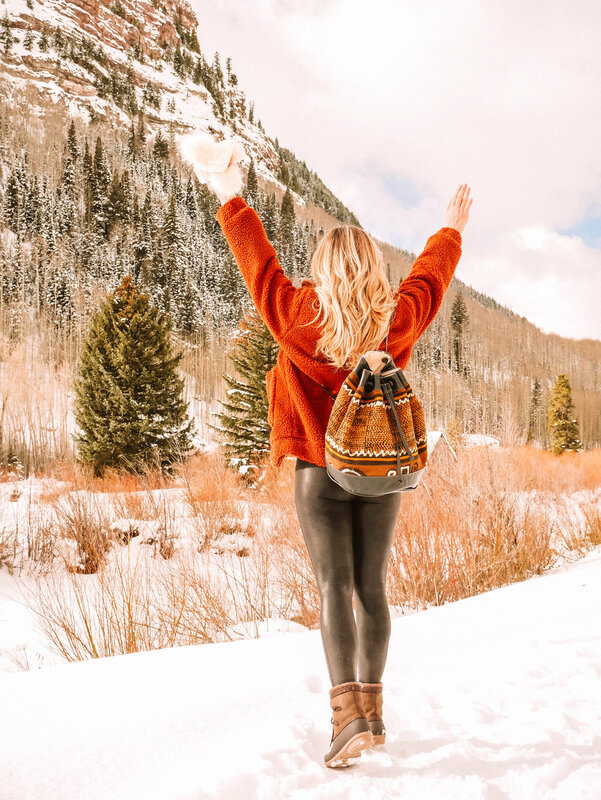 We have until 3:00 pm to take in all of Colorado’s beauty. We make a last minute decision to drive to Garden of the Gods in Colorado Springs. Mind you this is an hour south of Denver but it had been on our list so why not! Okay Garden of the Gods is really cool! 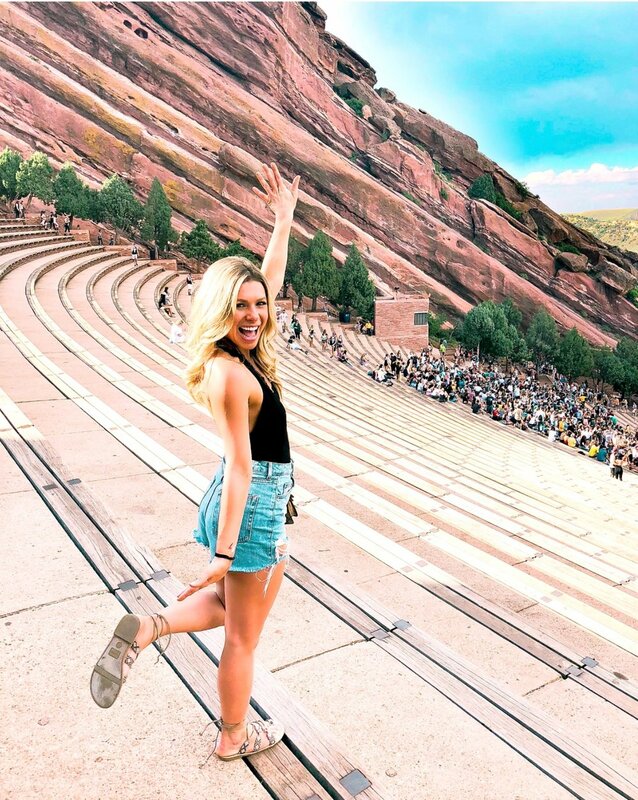 Not only is it pretty with the red rocks but you can actually climb them too! Only serious climbers with a permit were allowed to climb the tall ones (which there were some climbing while we were there) but there are a few crevices in the rocks that are really fun for the basic climber. As Chase said, my inner tom boy came out! haha. Anyway my point is that it’s definitely breathtaking and worth driving an hour out of our way. Garden of the Gods , rock climbing! It was my goal to visit as many places on our list as possible within a few days! 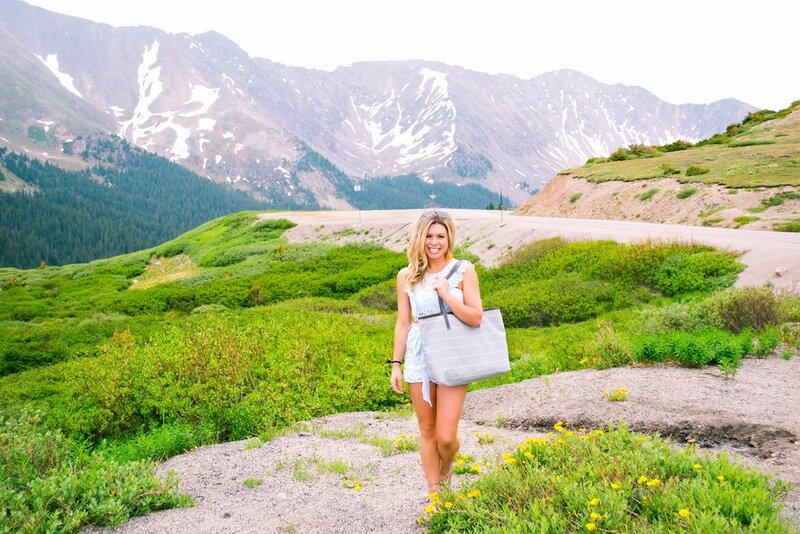 If you’ve been following me for a while you know I love pretty backdrops and always do my research on places with the best views before a trip! So below are some of my favorites that are great stops if you are traveling with friends or a significant other! Bernal Heights Park- Pretty views of San Fran! It’s an easy hike to the top where you will find this swing! Pro tip- go earlier in the day. You won’t have to wait to snap a pic on the swing! However- this place still flies pretty under the radar so chances are there might be 1 or 2 other people waiting to snap a pic. Point Bonita Lighthouse- According to a local this spot is still pretty undiscovered by most, but totally worth the hike. (Another easy one!) It was pretty foggy while we were there, but when it would break the ocean and cliffs we're beautiful! We wanted to stay in the heart of San Fran so we were close to all of the places we wanted to explore. The Clift, located in Union Square, was just what we needed and not to mention we had great views of the city from our windows. We stayed in a one bedroom suite. This includes, a dining area, living area, bedroom, bathroom, and vanity room. What more could you possibly need? The Clift Royal Sonesta- Sometimes you just want breakfast in bed! I highly recommend! Round Pond Estate- We were on the hunt for palm tree lined streets and based on my extensive research (ha!) I know of at least 2 that have them! Round Pond Estates and Scribe Winery. Pro tip- Both wineries need reservations. I would book a week in advance. Domaine Chandon- Calling all champagne and sparkling wine lovers! This is your stop, plus the view is gorgeous. Not a sparkling wine fan? Don’t worry they have still wines available by glass! 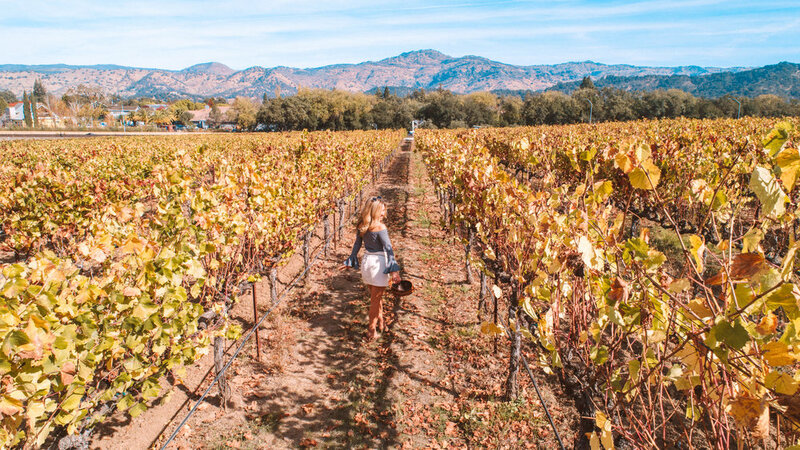 Pro tip- most wineries require reservations. This one does not! 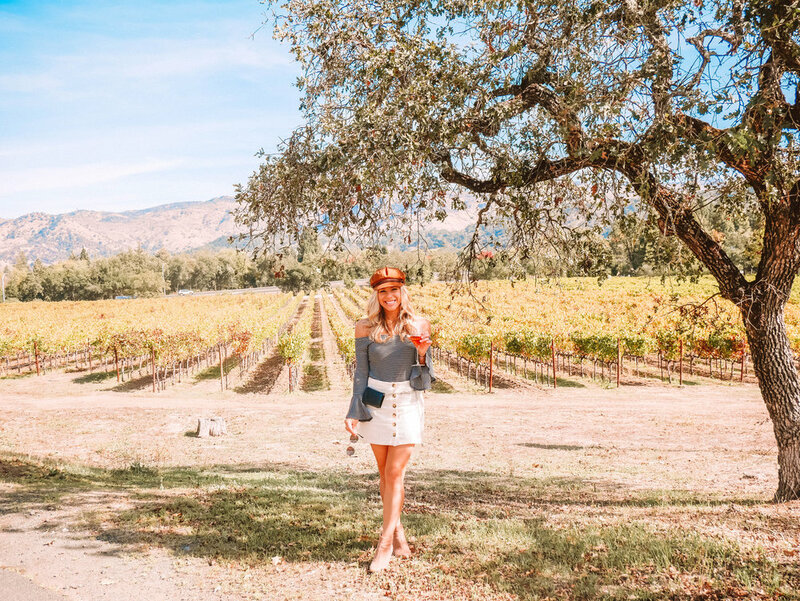 Domaine Chandon- Chase took this shot with his drone! 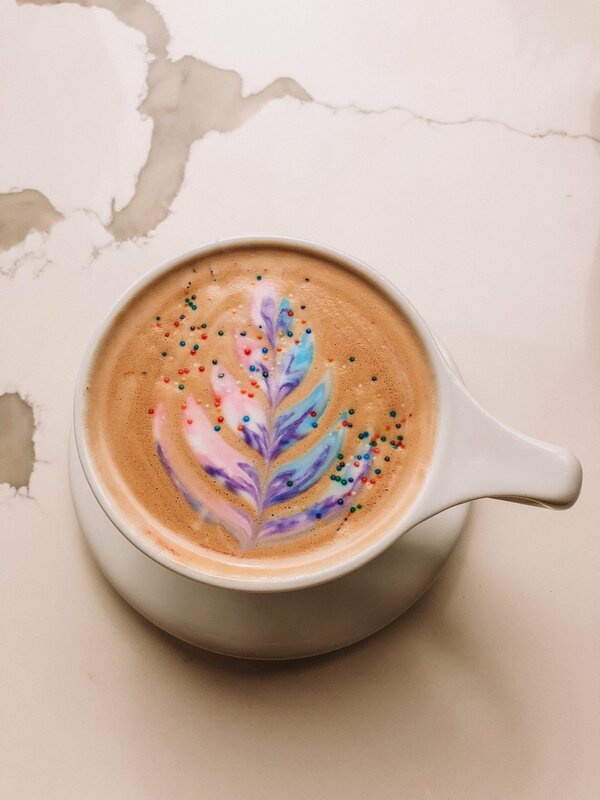 Home Coffee Shop- I love anything rainbow so when I heard Home Bakery had Birthday Cake Lattes, well I’ve never made an easier decision. It really does taste like birthday cake in coffee form.